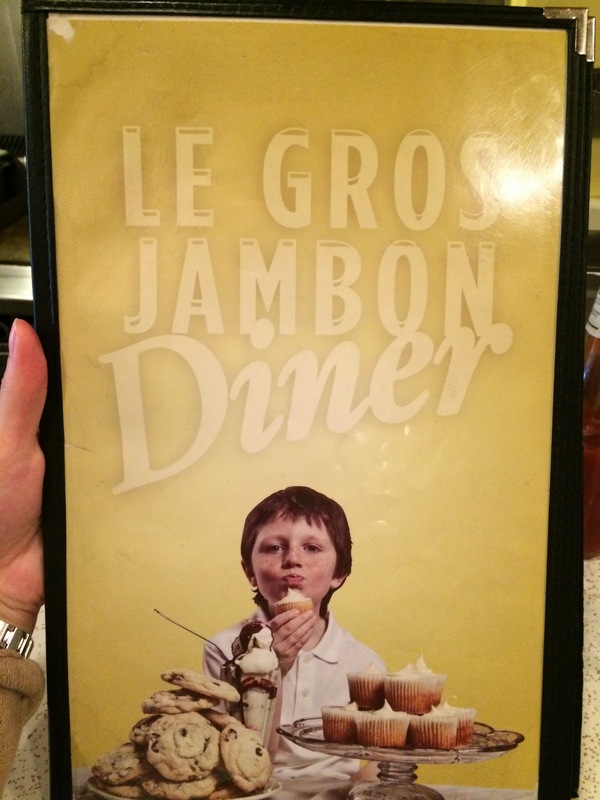 "Le Gros Jambon Diner" was one of the closest place from the hotel we're staying and also they close at 4 PM. 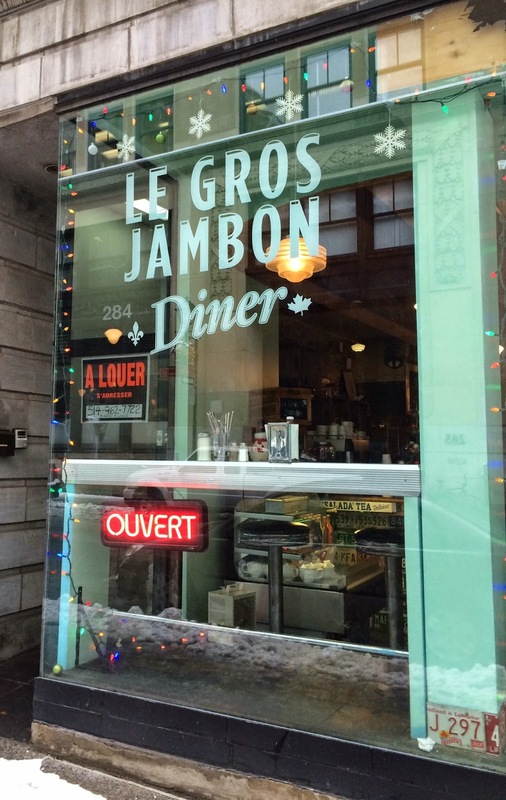 I went there to try their poutine in windy and snowy day. 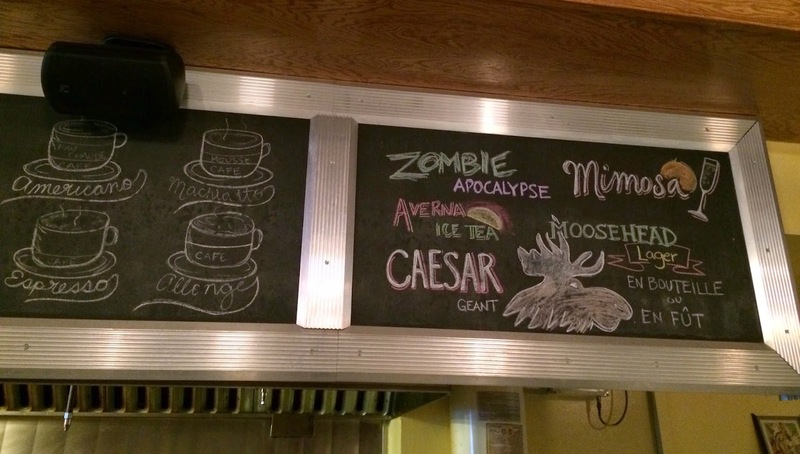 As the name means "big ham," there're some pig shaped objects like a cutting board. Interior was classic and cozy. On the left page, it's French and the other side was written in English. 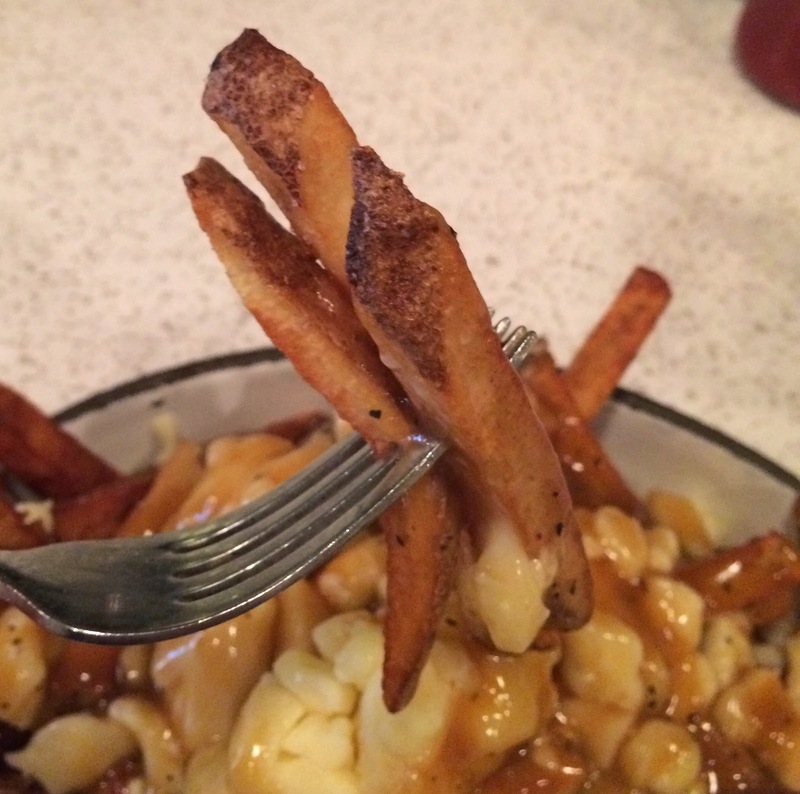 I asked one poutine and the cook in the kitchen started preparing my dish, but there's something quite concerning to me. 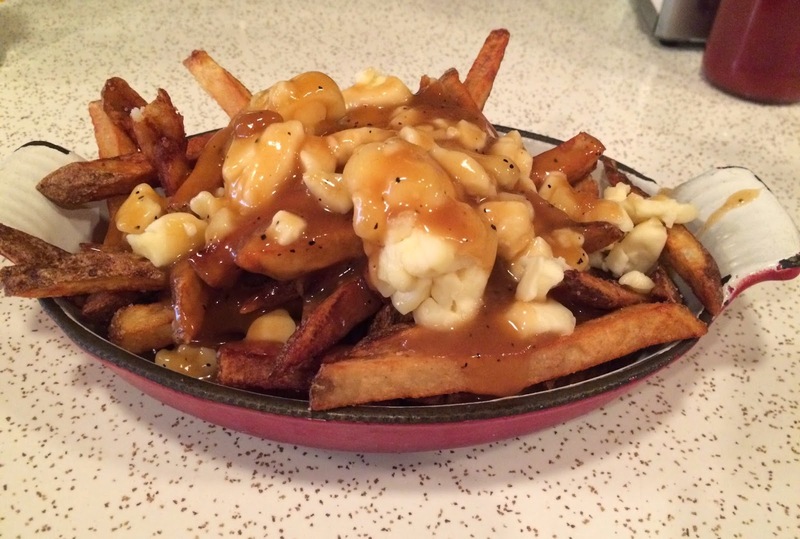 There's a pile of fries, as a poutine uses twice-fried thick fries, but the issue wan't the already-fried potatoes but they weren't placed somewhere hygienic or clean; they're in a large bowl set in a sink. 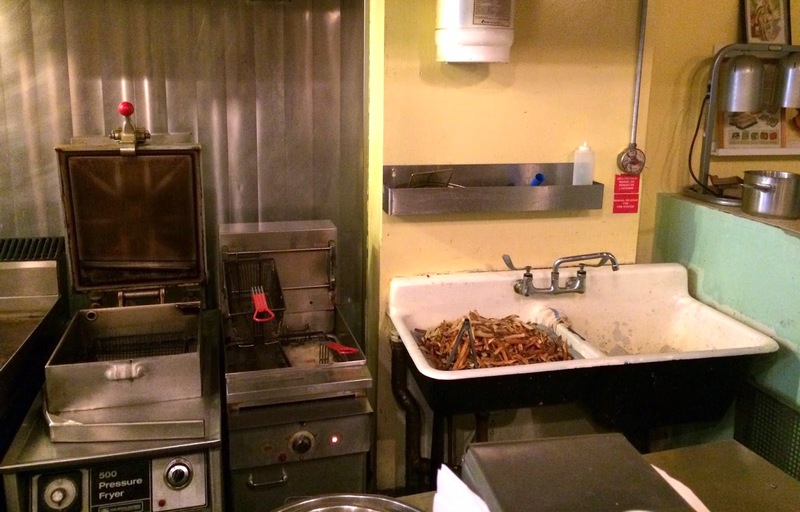 I wasn't sure if he'd use the fires, but yes he did, and put grabbed some fries and tossed in to a hot fryer. And I was thinking (and hoping) that the faucet might be broken and they use the sink as a closet, but my prayer wasn't answered as I saw him washing his hands after serving me the dish. 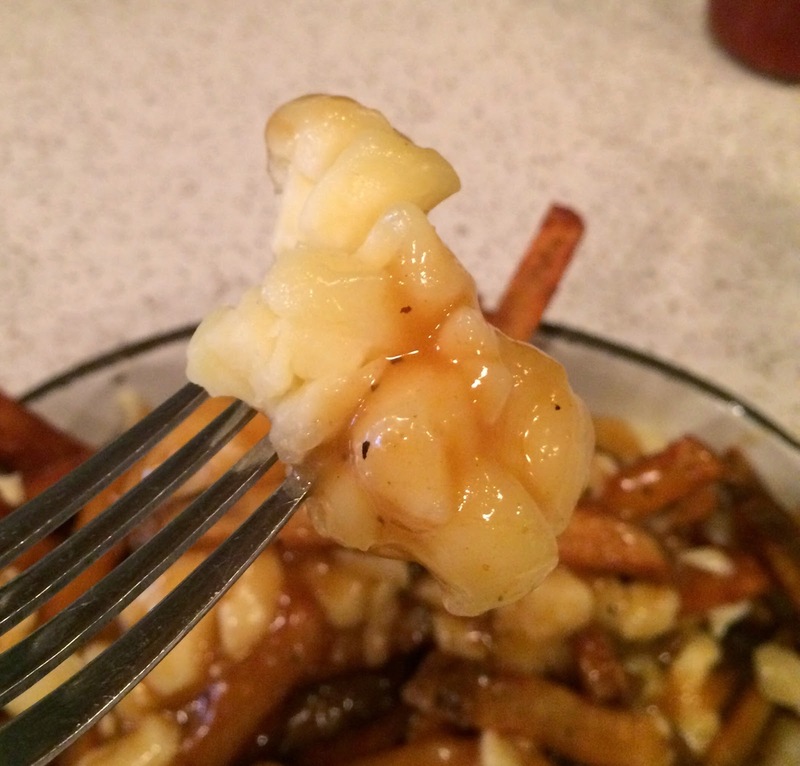 Here it is the poutine cooked with insanitary fries in the sink in-service. At this point, only thing I could do was to autosuggest myself and force myself to think that they used a hot fryer and they should be sterilized by heating. 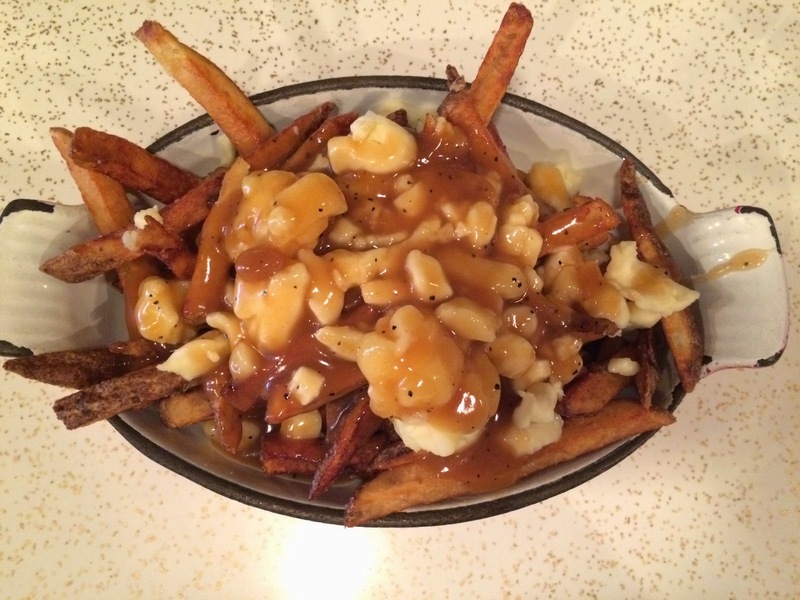 In an oval shaped dish, there're golden brown fries with generous amount of gravy sauce and cheese curds. They use cracked black pepper and I could see the black dots in the shiny gravy sauce. The fries were medium-thick to thick fries and the outside was very crispy and inside was hot and moist. 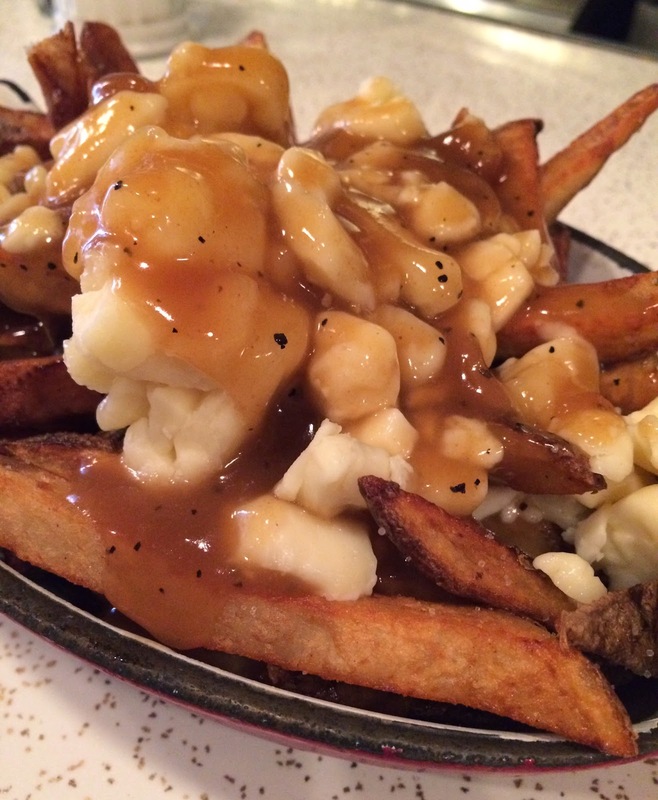 There're several large cheese curds and they're squeaky, but those small ones were melted by the heat of gravy sauce and fries. Their gravy sauce was sweet and had nice accent of black pepper, and the sweetness went well with lightly salted fries. 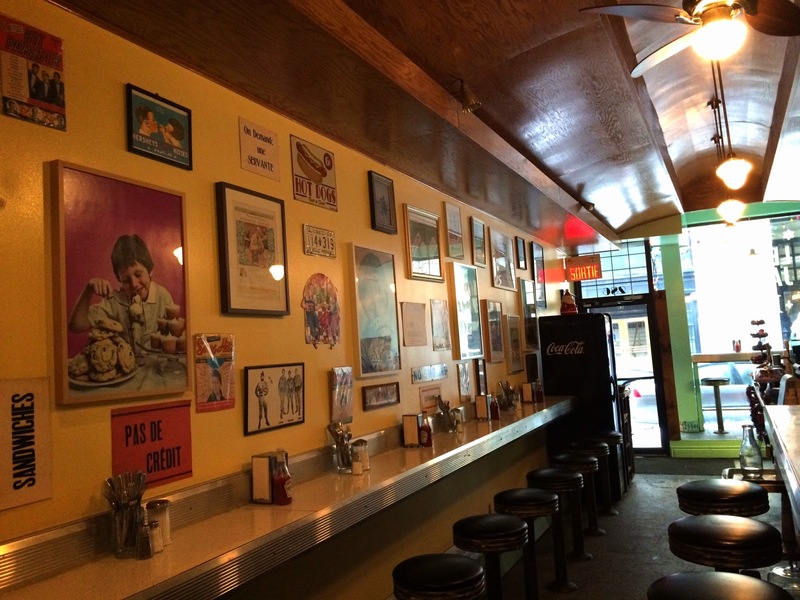 The employees were funny and kind, and the atmosphere of the diner was good, but I just can't get over the fact "fries in the sink," thus, I don't think I'll go back there. I'm sure not all the places I've been to keep the foods somewhere hygiene, but as long as I'm not seeing, I'm ok <-- visuals affect people a lot I think.